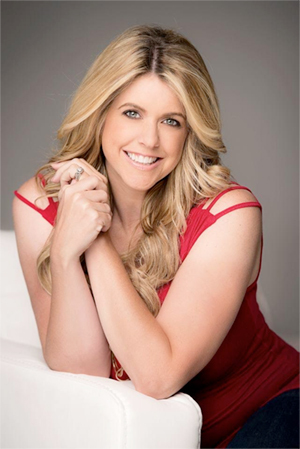 Please welcome, Kelley Anne, who will be contributing posts related to her journey into the world of auto-immune deficiencies and allergies. This is her first post in this series. “You could live forever on that breakfast alone,” Emma’s doctor enthusiastically exclaimed. To say that having a doctor who is supportive of “let food be thy medicine” is an understatement. My 13-year old daughter, Emma, had two bouts of Epstein-Barr Virus (ages 9 & 11) and ever since has lived with chronic fatigue, chronic stomach issues, food sensitivities, sleep disturbances, and anxiety. A year ago I was told by a doctor that she was an “autoimmune kid” and that perhaps there aren’t tests that are sensitive enough to detect WHICH autoimmune condition she was going to end up with. I’m just supposed to sit back and wait for my daughter to be stricken with an incurable autoimmune disease where her body attacks itself beyond the point of self-repair? No. I refuse. So, I am diving head first into nutrition plans that support the reduction of inflammation, which I hope will allow her body to rest and heal. Because she has always been drawn to meat, fruits, and veggies, and is allergic to milk and wheat, it was very easy to see that a Paleo lifestyle was right up her alley. Then, I read The Autoimmune Solution, by Dr. Amy Myer, and she takes Paleo to the next level with her variation of the Autoimmune Protocol (AIP). At the moment, I am incorporating both Paleo and AIP recipes into Emma’s daily nutrition plan and keeping close watch to see if her symptoms decrease. 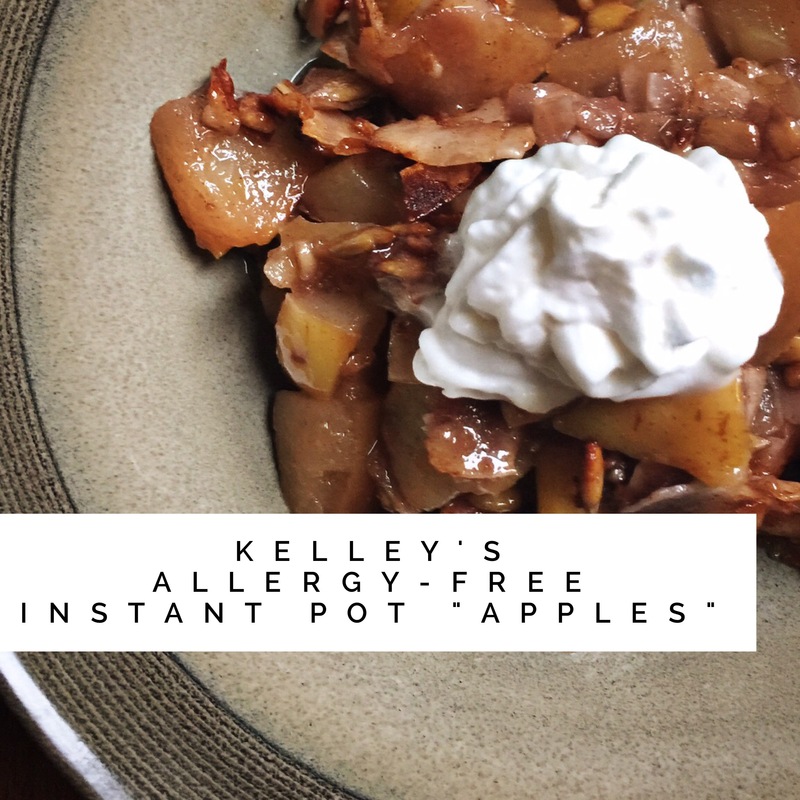 The Instant Pot has changed everything for me as I try to heal my precious girl. 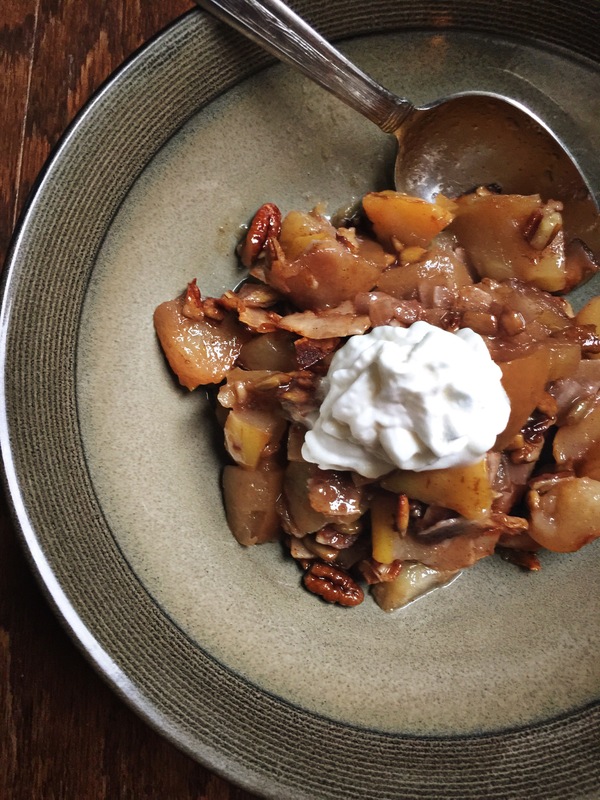 I can quickly put together our favorite sweet treat (adapted and inspired from Jennifer Robins’ Paleo Cooking in the Instant Pot Breakfast Cobbler recipe) that has our doctor’s stamp of approval. “Can I have my apples?” is asked by every member of the family every day — this stuff is good! I make a huge batch of “apples” that lasts us two days. The dairy-free yogurt topping has yet to be perfected, but I’m working on it! Combine all ingredients in the Instant Pot, Steam for 12 minutes, and quick release. Remove the lid and switch to Sauté to cook out all the extra moisture. Sometimes it can take a good 10 minutes, but it all depends on how juicy the fruit was to begin with! I serve 1/2 cup (warmed up or cold) with 2 tbsp yogurt topping. If you tolerate raw coconut, a sprinkle on top is fun! If you tolerate nuts, be like Jaime and add some! Just be sure the ingredients are clean! You’d be surprised what manufacturers sneak into coconut, for example. Just FYI, I had to buy organic coconut from Publix in order for it to be certified gluten free. Eye roll!! I wish I could offer you a perfected non-dairy IP yogurt recipe, but I just don’t have it yet. I recently ordered a vegan yogurt starter from Amazon and I hope that does the trick! What I have been making gives us the probiotics we need, but the texture is gritty. I’ll get back to you as soon as I make a smooth, tart, vegan yogurt that excites the whole family! My number one priority is the health and safety of my family, myself included! I know that food has the ability to hurt us or to heal us. I intend to keep searching for ways to change my daughter’s “fate.” I believe the answer is in the food she eats. Have you allowed medicine to be thy food? This post contains Amazon Affiliate links for products I use and love. All opinions are my own with no sponsorships unless indicated. If you use these links, you help support this blog!